Return to Bluebell Hill is Rebecca Pugh’s debut novel and having read her second novel I was keen to read this one. This book has a lovely cosy warmth to it, the sort of book you can curl up on the sofa with or sit in the sun and lose track of time. 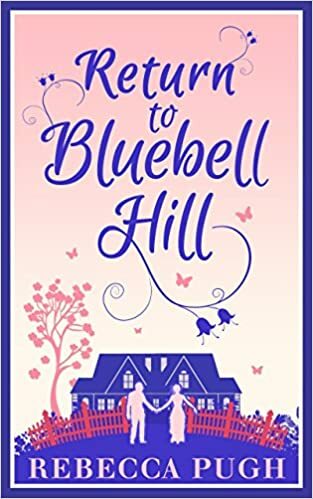 Jessica McAdams returns to her childhood home of Bluebell Hill to attend the funeral of her estranged parents, and is reunited with her old nanny Esme, but whilst the reunion is overshadowed by the tragic death of her parents, Jessica is nonetheless pleased to be back in the embrace of Esme and soon meets Reuben the handsome gardener. As Jessica narrates her tale, we discover that her relationship with her parents was a troubled one, feeling they had no time for her or interest in her, Jessica spent most of her young life with nanny Esme, so it was no surprise that once she turned 18 Jessica left Bluebell Hill for London to start a new life. Despite little blips and breaks in continuity, this was an enjoyable read, a nice break away from the madness of recent days. Something about this book grabbed my attention when I started reading and held it through to the end. Covering aspects such as love, betrayal, regret, friendship and forgiveness this book really ticks many boxes for fans of female literary fiction. Rebecca Pugh writes with striking detail, her vivid descriptions of Bluebell Hill are a thing of beauty. The setting of the house was so picturesque I could happily sit back and daydream about it and the wonderful gardens. Even the descriptions of characters were treated to this flowing grandness, you really do feel like you are there in the book seeing the people and the settings. Jessica was a likeable character, well fleshed out and interesting. Some of her motives did seem a little naive at times, but Pugh takes great care to weave in the troubles of Jessica’s past to illustrate that this may be why the character does not form relationships easily etc. Reuben, well he’s a book all on his own. Swoon worthy and utterly delectable, he’s the right mix of strong masculine and caring, considerate that we have come to expect from the genre. He compliments Jessica’s character well, there is a good dynamic between them and it made for enjoyable and interesting reading. Another character I did especially like what Esme, a sprightly 63 year old who seemed to have endless energy first thing in the morning and was a delightful contract to Jessica. Her pearls of wisdom more than once gave Jessica pause for thought, but she never interfered. I would have liked to have seen the story of Jessica’s parents explored more, their untimely deaths seemed to hang in mid air for me. I had wondered that if more would be revealed in the story, as was the case with Jessica’s estrangement from her parents and her leaving Bluebell Hill, but I cannot honestly say that I saw any further mention of this. The strained relationship she also had with her parents would have been something else I would have loved to have seen expanded upon, but again that’s just my personal preference. This was an enjoyable read, heart warming with the right mix of sadness and happiness. A love story with ups, downs and laughter, beautiful descriptiveness, practically idyllic at times. A quick read, but for me this was an added bonus, I needed something quick to get my mind off the madness of late and this hit the spot perfectly. This was Rebecca Pugh’s début novel, and having read A Home In Sunset Bay, I can honestly say that I am a big fan of her books. I can’t wait for Down On Daffodil Lane to arrive on my Kindle in August. These books are all standalone books, you do not need to read them in any order, but I would say that after reading Bluebell Hill, Pugh’s writing has evolved and she seems to have found her flair in writing (that’s not to say she didn’t show great talent in the first place, I just believe that she has now found what works well in her novels). This is the sort of book you could load on to your Kindle for your summer reading or equally pick up on a rainy afternoon and be lost in the beautiful sunshine and wonderful countryside. You can purchase a copy Return to Bluebell Hill here. When you read a book in one sitting and cannot bear to put it down you know it’s a good one. This was a surprise book for me, I had no idea it would come tumbling through the letterbox but I definitely cannot thank the guys at Killer Reads enough for sending a copy through to me. “The most unsettling psychological thriller you’ll read this year” is quite a high standard to set but I feel that they are just in doing so. 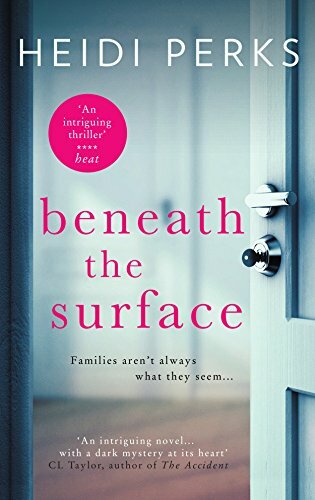 Not only does this book have a gripping plot, the characters are twisted and flawed, nothing pans out as you’d think it might and there are parts of the book you are literally staring at what you’ve just read in utter disbelief/shock/confusion. For a book to inspire so many feelings in a reader is brilliance on the part of the author, Camilla Way really has written a blinder of a book here! The alternating narration by 30 something Edie and a teenage Heather adds depth to this story like nothing else. Seeing the past events that lead to the parting of the ways of the teenage girls through Heather’s eyes adds a youthful naivety to it all, and this I believe is so vital to understanding her much later on. Edie’s continual allusion to a tragic event gives a little more detail with each mention. This “something” that occurred changed her life forever, she left her home, her family and tried to make a new life for herself in London and put the past behind her. When Heather finds her in London, Edie is shocked, she’s anxious but never envisions they will reform a friendship and just how much she will come to rely on Heather. Without giving anything away about the past, or the future, I will say that Camilla Way has written a very clever and twisted story. She evokes emotion from the reader by catapulting them into a maelstrom. Even the sub plot is fraught with intensity, but I have to add that I really enjoyed reading Edie’s interactions with Monica and her family, it added a little light relief at times. Monica’s character gave a lovely reminder that not all characters in this book were obsessed, liars or out to betray one another. Complex and multi layered, this is a gripping, and all consuming read. Almost like falling down the rabbit hole with Alice into the dark depths. I cannot wait to see what Camilla Way writes next, I really loved her style of writing in this book. The way she revealed more about the two protagonists had me reeling at times, I found my judgements were rocked by what I learned each time and at one point I was speechless. I cannot recommend this book enough, it was brilliant. Everything a psychological thriller should be and then some! 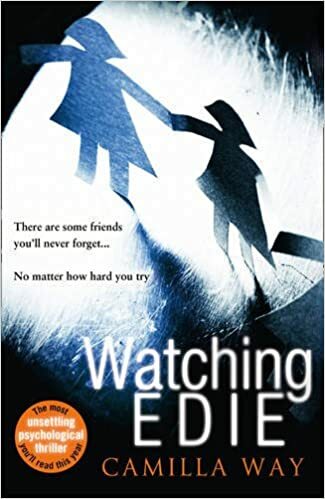 You can pre order a copy of Watching Edie here. Initially when I saw this book discussed on social medial with very little details, but billed as a #mysterythriller and quite possibly the thriller of 2016 I knew I had to find out more. All Is Not Forgotten is definitely a book worth the interest, hype and reviews – it’s a fantastic read! The story is narrated primarily by Jenny’s psychologist, but also features narrative from other main characters to give a great grounding of what is happening for each character and how they are coping with the recent events. The actual concept of the book is both intriguing and worrying – erasing memories from a traumatic event to better cope and move on with life. How would one cope in that situation? How would you deal with the emotional aftermath when you cannot associate it with the actual physical assault? From the very outset Walker hooks the reader in, you want to find out who the attacker was, you want to find out why they engaged in such an atrocity, but most of all you want to find out if Jenny and her family finally find closure. 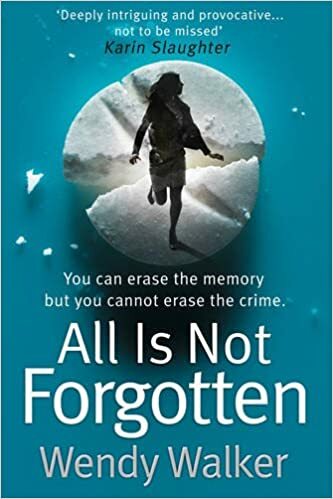 All Is Not Forgotten takes you on an emotional roller coaster, fraught with tension, emotionally taught and with painstaking detail of sensitive events such as the attack this can be at times an uncomfortable read. I was aware at times that I was reading it feeling shock and horror but at the same time determination to get to the end to find out if Jenny managed to get through this. This was definitely a book that had my full attention, reading it in one sitting. It surpassed my expectations and so far has lived up to being one of the best thrillers I’ve read of 2016 (so far….I am fully aware this is only June!). It’s complex, cleverly written and thoroughly absorbing. Characters are well developed and interesting, the plot is rich in detail and it makes a great read! You can buy a copy of All Is Not Forgotten here. The moment the Rumba is introduced in this book I knew I’d be held captive by the little details. The meaning of the dance and the symbolism it holds are beautifully detailed by Ley, you can almost feel the beat of the music, the swell of the bodies rhythmically following the beat of the band, it’s intoxicating, addictive and hard to believe its a novel and not a holiday guide! Following the stories of Elisa and her stepdaughter Grace, Rosanna Ley weaves us expertly back and forth between Cuba in 1958 and Bristol in 2012. Elisa emerging into womanhood finds love at a dance, she meets Duardo, an aspiring rebel, and within moments of them dancing the rumba she knows she is is love with him. But as the troubles intensify, the fighting takes it toll on families in Cuba and Elisa’s family make the decision to move to England to start a new life. We follow Elisa’s life in England in 2012 but dip back into her past as she recounts those days in Cuba before leaving, the beginnings of her life in England and how she came to be part of Grace’s family. Fast forward to 2012 and Grace is struggling with relationships of her own. The relationship with her father is rapidly deteriorating, having never forgiven him for the death of her mother, his alcohol abuse has become another barrier between them. As she grapples with her husband’s desperate desire to start a family, she becomes increasingly aware of the chemistry between her and Theo, their best friend and the more she fights it, the more intense the feelings become. Through the tales of the two women we are to discover love, sadness and longing. Both want something they cannot have, have lost people they have deeply loved and cared for, but most of all, they long to find what makes them happy – for one it’s being home, it‘s a person that is home and for the other, it’s a special someone. All of the characters are incredibly realistic, very well written and some of them really make you stop and think, Elisa putting everyone’s needs and happiness before her own is just one example. The only character I didn’t really take much of a liking to was Robbie, Grace’s husband, but for obvious reason. He has to be sacrificed to allow Grace’s story to evolve, and as we only see him through the eyes of Grace it is no wonder that he can be a bit wearing at times. The sensitivity shown by Ley towards Philip was very well written. He lost his beloved wife in a car accident and at the same time his young daughter began to hate him and blame him for the loss of her mother. He turns to alcohol, feeling it is the only option open to him and struggles on through life, wishing he could reconnect with his daughter but also not push away his new wife Elisa. The sadness of his tale knits almost poetically with the tales of Elisa and Grace, all are struggling with secrets, all are held back by something and desperately need to move on. 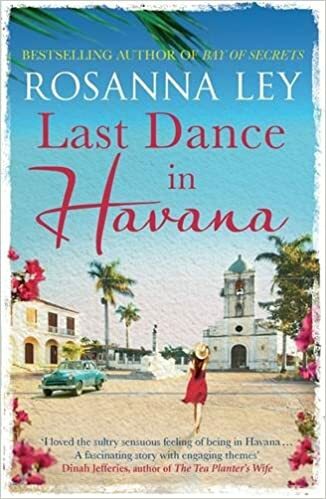 Ley‘s writing is truly beautiful, she brings Cuba alive with dynamic tenacity, giving the reader a glimpse of the charm of Cuba – the colours, the sights, the atmosphere. But also, taking the time to include the details of the darker times, the marred history, the struggles faced, this really gives a complete picture of the country – warts and all if you will. Another area I found the attention to detail impressive was when describing Grace’s massage therapy work – the techniques used, the use of sound and aromatherapy oils etc show that Ley has gone the extra mile to give her readers as much detail as possible and this added to my enjoyment of the book. This is a fantastic summer read, you can almost feel the heat of the Cuban sun through the writing, you can imagine the winding streets and views of Bristol that Elisa and Grace wander whilst thinking. But best of all, you can pick up this book and becomes lost in it, it’s vibrant, realistic, entertaining and utterly wonderful! You can buy a copy of Last Dance in Havana here. When I first heard about this book I was intrigued, it sounded fascinating so I jumped at the chance of a review copy from Blackbird Digital Books. Set in Aberdeenshire, Shona is a new mum settling into a rural setting with her little girl, and trying to adjust to a new way of life while her partner works offshore. She finds she is missing her old life and friends, she craves human interaction beyond the niceties of the woman on the till in the supermarket so when she meets Valentina on the steps of the nursery a much needed friendship soon blossoms. Initially narrated through Shona, we learn about her life up to meeting her perfect match Mikey, how they first met, the way their relationship developed and how she came to live in her idyllic cottage in Aberdeenshire. It is also through Shona that we “see” Valentina, how charismatic, carefree and confident she is, her style is hippy yet chic, she’s daring, she’s funny and most of all she’s just what Shona needed. As Shona reflects back on life before her child we see that she was a strong character, standing up to bullies and taking no nonsense. So the dramatic change to her character is startling but understandable. As a new mother she is exhausted, but with this comes the ability for her to be easily manipulated. At times this character does come across as naive, too trusting and you really want to nudge her, shake her, anything to make her stop, notice and see sense. The overall style of writing is good, impressively descriptive, well paced and the plot was well thought out. The narration by two of the main characters lends itself well to this story, it allows the reader to not only see Shona’s point of view, but also to some extent, experience it too. Character development in this book is very well done, interesting and well formed characters become even more intriguing, they mould into new shapes and the transformation of Shona in particular was fascinating to read. This is the sort of story that stays with you after you’ve finished the last page. Even after a few days I found myself wondering what I would have done in that situation? Would I have done the same thing? Why would someone do that? How could someone really do that and think they would never be found out? Once you’ve read it you will understand…..
For a début, this is an impressive novel, well written and full of suspense, it’s gripping at the right time, the pace stays well matched to the action throughout, and it’s a good read. Perhaps I’ve read too many of this genre, but I did find it was a little predictable, but this didn’t detract from my enjoyment. I would have no hesitation in recommending this book it’s a good read. 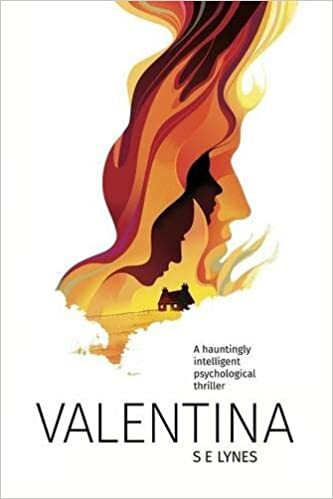 You can buy a copy of Valentina here. A chance conversation with Ben Willis at Transworld Books brought about a copy of this beauty arriving on my doorstep, and all I can say is a massive thank you to Ben, he was right, this is an absolute gem of a book! 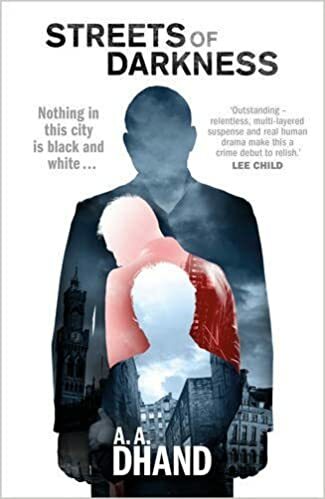 From the very outset I was gripped, Harry Virdee is a man with a secret, a troubled past and a very troubled present. Stepping away from the “textbook” police procedural Dhand gives us a protagonist that breaks all the previously set stereotypes. He’s a Sikh policeman, he’s happily married and not living on an unhealthy diet of takeaways whilst bemoaning his fate. Instead Harry Virdee is a highly functioning, intelligent and active man, he runs when he can’t sleep and has connections that get results to solve cases. But when Harry finds a body when out running he knows he has to call it in, although facing his colleagues and friends on the force whilst suspended isn’t something he’s comfortable with. When he’s asked to operate under the radar to track down the murder suspect he never envisions the secrets he will unearth along the way. That’s about all I want to say about the plot, there are too many things I could say that might give away little details and this is not a book you want spoilers for!! This is a gritty novel, with a heart racing pace, indeed I read it in one sitting, desperately reading on to find out what would happen next. Lies, deception and danger are the key aspects, so when you add in a policeman operating on the edges of what is acceptable this really moves to the next level. But there are other themes that play an important role in this book, race, religion, family and loyalty are also of equal importance here, reminding us that we are a multicultural society and that actions can affect our future more than we think. The characters in this are fantastic, very multidimensional and incredibly detailed. The writing is brilliant, and for a début I am truly impressed. Dhand has created and woven a complex plot with a clever sub plot running alongside. He then draws it all together to wrap up the details and shocks the reader with the ending. I am very grateful to the author for the cultural details. Things like the various Sikh and Muslim festivals that take place during the novel are not areas I have much knowledge of, so adding explanations through the narration was definitely a bonus for me. I felt that I learned something new reading this and really appreciated the authenticity it added to the story. I cannot wait to see what Dhand has lined up next for Harry Virdee! A.A. Dhand is a name you will want to look out for in the future. You can buy a copy of Streets of Darkness here. Solomon Creed is an interesting character, for a start he emerges unscathed from a plan crash in the middle of rural America, but even more intriguing is that he has no idea who he is or why he is there. As the narration develops and other characters are introduced, we discover that Creed is also fascinating in his physical appearance, he is an albino, something that is never seen in the town of Redemption. With the ability to speak numerous different languages, a wealth of knowledge and skills that surprise even himself, Creed is definitely an enigma. But little by little, snippets of his memory clear so that by the end he has a good idea of why he ended up in Redemption, what his purpose here was and who he is. The most mind blowing answer definitely has to be the latter – once that’s revealed….wow! Redemption is a small town in Arizona, built around the church, and instead of the inhabitants being friendly and helpful as you might expect, they are suspicious of newcomers and locals alike. Worse still, Creed can feel there’s something going on in the town, secrets are being buried and he is sure this is linked to why he is there. The links to a Mexican Crime Boss, despicable Sheriffs and desperate town mayor add a sinister edge to the goings on in this town. With narration in the form of historical journal entries by the town founder as well as present day narration by several characters, this really does add something “extra” to the plot. The religious angles meld well with the almost supernatural elements of the book – indeed it helps it to stand out from other books in this genre. The super natural aspect of the story does feel like something out of an episode of the X Files, not entirely plausible but at the same time not entirely indisputable. Action packed chapters ensure that the reader is kept entertained and intrigued, who is fighting for whom? Who are the good guys? What are they all after? The pace of this book is also kept brisk with this style of writing, the murder mystery element makes for a thrilling read and with characters that are multi dimensional, well fleshed out and in some cases downright villainous, you’ve got a great read on your hands. Despite some more complicated ideas in this book, it is still an enjoyable read. Some of the religious passages may not be to everyone’s tastes, but it’s definitely worth sticking with it and seeing it through to the end, in this book I would definitely say they work and go as far as to add depth to the tale. 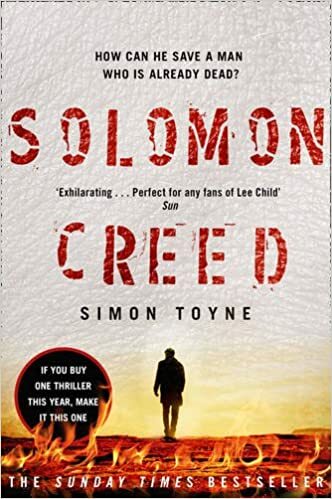 After finding out Solomon Creed’s identity, I cannot wait to see where the author takes this character next, a brilliant stepping stone for the next book! You can buy a copy of Solomon Creed here. I don’t usually review businesses on this blog, it’s usually just for books, but when I received an order from Joanne at FairyAnnTeacake Designs this week I knew that I had to share my happiness with the goodies! Creating beautiful bespoke clothing for children, Joanne stitches love and care into each garment she makes. With numerous designs available, there should be something to cater to almost every taste. The dresses that Joanne has created are breathtaking to say the least, and despite my begging polite requests, unfortunately they do not come in adult sizes. As well as the clothing, FairyAnnTeacake Designs makes custom hair bows (which can be mounted onto brooches, bobbles and hair clips), book bands and paperclips. I ordered from the latter categories, something small that will be the perfect addition to birthday presents (and for keeping for myself) and can honestly say I am so overjoyed at how lovely they are. These are just two examples of the goodies I received, both are beautifully made, not a stitch out of place and perfect! So lovely, that instead of giving these as gifts, I may well keep them all to myself and order more to gift to others! Seeing this when you open your diary is a lovely little boost, the clips act as great page markers and allow me to indulge my quirky side. Although these items are custom made to order, they do not attract a hefty price tag. As with all small businesses, you are paying for the time and skill of the individual behind it all, so yes items will cost more than from buying from a mass producing retailer, but what you get in return is something to cherish, something that shows love and care has been lavished on it and something to be proud to show off. The reviews on the FairyAnnTeacake Designs Facebook page speak volumes, customers are returning to this business. High standards and great service ensure that customers receive their items within the allocated time scale, no mean feat when you consider that the dresses are made to order, measured to fit and are incredibly detailed. Don’t just take my word for it, check out the Facebook page for more information, and if anything tickles your fancy, or catches your eye, why not send Joanne a wee message? She’s incredibly friendly and so easy to work with. If there’s a particular fabric idea you have in mind she will do her very best to track it down or find a suitable replacement where it’s gone out of stock. Every once in a while there’s a book that appears in the post that just blows you away, and this is definitely one of them. From the beginning the author draws you in, dangling the mysterious plot of a mother walking out on one of her children and taking the two youngest ones with her, and the one left behind has no idea why or where her family has gone. It’s compulsive reading, the need to find out why teenage Abi was left to fend for herself by her mother is strong. I won’t lie, my maternal instincts kicked in at this point, I felt I wanted comfort Abi and pull her into a motherly embrace. The abhorrence at what her mother had done was palpable and incomprehensible. I needed to find out why. Abi’s struggles to come to terms with what happened are cleverly detailed in the form of letters to her husband Adam. Her therapist Maggie advised her that this might be a good way to get out how she feels about what has happened between her life before Adam and where she is now. As she recounts the tale of her life up to that point it’s difficult not to feel some compassion towards her. The irreparable damage to her mental state and her trust issues are so deeply rooted because of that disappearing act fourteen years ago. As the story develops, things become less clear, characters evolve and you begin to see things from other points of view. The narration from Abi’s mother Kathryn was particularly interesting. She was a well portrayed character, incredibly meek and highly anxious. Her mental health definitely seemed questionable at times, the girls often mentioning about her being in a constant state of anxiety or unease about things. The controlling influence of her mother Eleanor was too much for her to bear, and the constant need for approval from her mother was definitely heartbreaking to read. The characters were all well detailed, and three dimensional (even the flawed Kathryn), they appeared very lifelike and believable. The writing is superb, detailed and well researched, the skill at maintaining the suspense and intrigue throughout really means that Heidi Perks is a name you want to look out for in the future. It’s the sort of story that stays with you after you’ve read it, almost making you wonder what you would do in that situation.